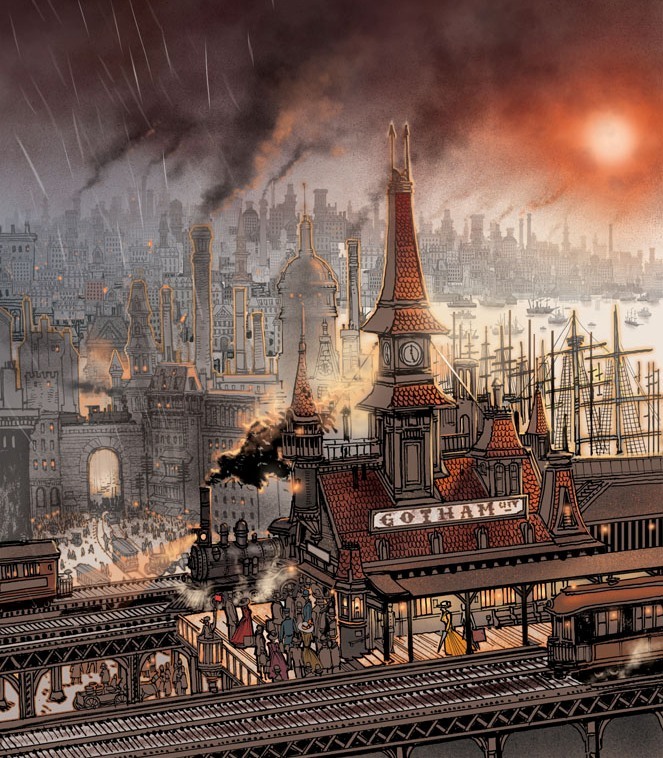 I'm sure I'll have more to say later about next month's relaunch of Jonah Hex as All-Star Western, but for now, I'm pretty happy with nineteenth century Gotham as imagined by Moritat. Should be fun to watch Hex run around there hunting a serial killer. iFanboy has more art from the first issue. Living in a town that used to run on coal, you can tell which buildings are the oldest because their bricks are all blackened. When I think of Gotham today, it's ALL black. So I guess we know where that came from. I hope that after this first arc the story moves further West. I get bored with everything in DC having to happen in Gotham or Metropolis. I totally agree, Ken. I don't mind him messing around Gotham for a story or two, but I wouldn't want it to become his base of operations. That art look beautiful and I would love to see a GOTHAM BY GASLIGHT version of Batman show up in the dark alleys of this one. Ooh! I doubt it'll happen since as far as I can tell this is supposed to be in-continuity (or what passes for it in DCnU), but I'd love to see that too.